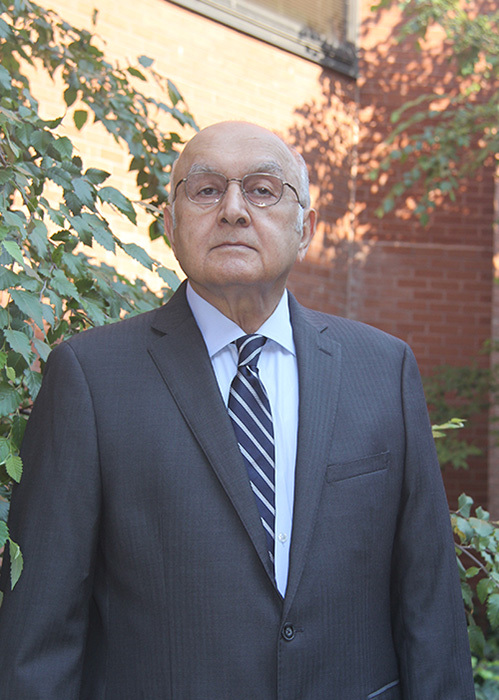 Hamid Fakhraei is The Hilltop Institute’s director of research and financial studies, with over 35 years of professional experience, possessing expertise in health and clinical economics, health services research, multivariate statistical analysis, econometric modeling, and forecasting. He has led teams of programmers, economists, and analysts for various quantitative studies of health insurance coverage and insurance markets. Currently, in collaboration with researchers from the University of Maryland, College Park and the University of Delaware, he is leading a team of senior analysts and programmers to evaluate the effectiveness of providing long-acting reversible contraceptives to women of child-bearing ages enrolled in Medicaid in order to prevent unwanted pregnancies. In 2012, Hamid was a recipient of the Hilltop Award for Innovation for his participation in the development and implementation of the Hilltop Health Care Reform Simulation Model, a financial model used for Maryland and New Mexico to determine the costs and savings of implementing federal health reform. Hamid has more than 20 years of experience in analysis and linking of large health care data sets. He has worked with Medicaid, Medicare, all-payers claims, eligibility, enrollment, and provider data. He designed information systems and oversaw the work of SAS programmers who used Medicaid claims and eligibility data to build person-level databases that are used for various policy and financial analyses. The input data sets include more than 100 million records of medical claims data for each year. Furthermore, he was the principal investigator of a research project funded by the federal Health Resources and Services Administration (HRSA). Previously, he was an economist with the Virginia Department of Medical Assistance Services (Medicaid), where he analyzed the effect of national health care reform proposals on the state of Virginia. In 1995, he developed a per capita funding formula for allocation of federal Medicaid funds to states. The proposal became the subject of a national debate about the future of Medicaid. The funding formula was used for allocation of Children’s Health Insurance Program (CHIP) block grants to states. Hamid has published articles for peer-reviewed journals on comorbidity-based payment methodology and risk-adjusted capitation payment systems. He also wrote an article entitled “Payments for Physician Services: An Analysis of Maryland Medicaid Reimbursement Rates,” which was published in the International Journal of Healthcare Technology and Management, Volume 7, Nos. 1/2, 2006. Hamid obtained his PhD and MSc in economics from Utah State University.